108, aashirwaad paras, opp. auda garden, corporate road, prahladnagar., Ahmedabad, India 380051. Want to make a career in Films? Want to become a Director? Editor? Cinematographer? or a professional Actor? 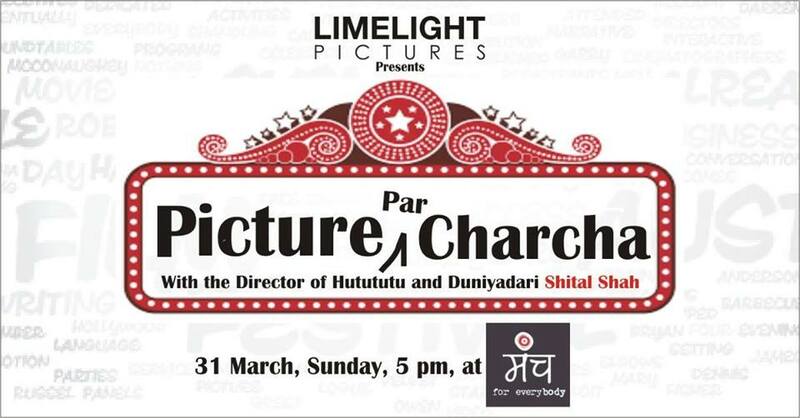 Come and understand how to do this with Shital Shah, Director-Writer of Hu Tu Tu Tu The Film and Duniyadari The Film, Actor and much more! Ask your questions, have a one-on-one discussion, and more than anything, lets have some filmy fun! No tickets but call 9909009770 to register your seat!